find healthy eating becomes a lasting lifestyle change. Need a coach? 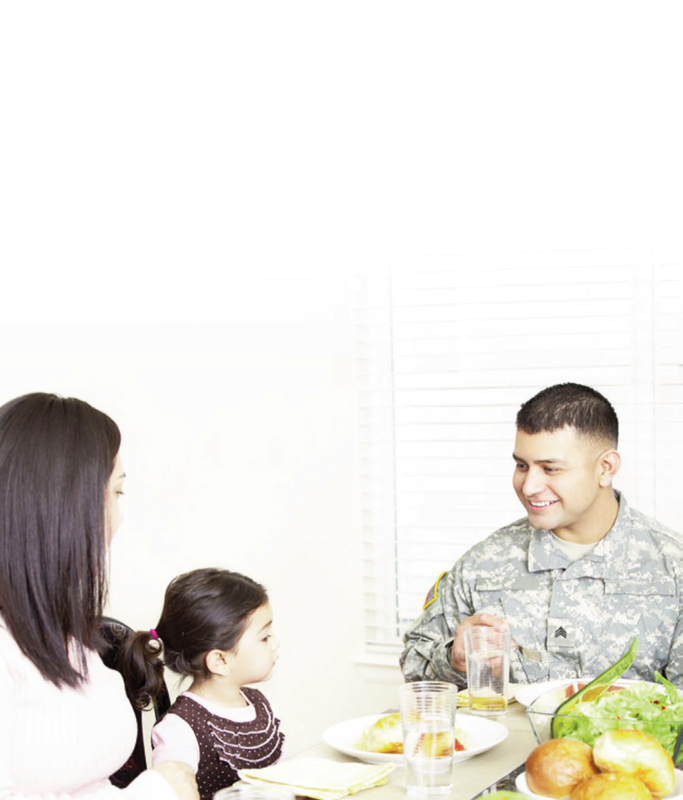 Individuals who are eligible for the Military OneSource program also have access to free telephonic and online sessions with a health and wellness coach. A Military OneSource health and wellness coach can help you identify your beliefs, values and vision of wellness. Then you and your coach will work on developing a realistic action plan that will help you to achieve your goals. Once your goals have been set, you both will work together to identify and find solutions to any barriers that may get in the way. To sign up with a coach, call 800-342-9647 or schedule online coaching sessions.